Barrois is a pays in eastern France. 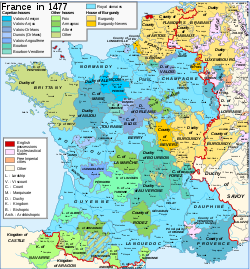 In the Middle Ages it was part of the Duchy of Bar, then bordering the Duchy of Lorraine. Today Barrois is a pays of the present-day region of Lorraine. The Treaty of Vienna or Peace of Vienna was signed on 18 November 1738. It was one of the last international treaties written in Latin. It ended the War of the Polish Succession. By the terms of the treaty, Stanisław Leszczyński renounced his claim on the Polish throne and recognized Augustus III, Duke of Saxony. As compensation he received instead the Duchy of Lorraine and Bar, which was to pass to France upon his death. He died in 1766. Francis Stephen, who was the Duke of Lorraine, was indemnified with the vacant throne of the Grand Duchy of Tuscany, the last Medici having died in 1737. France also agreed to the Pragmatic Sanction in the Treaty of Vienna. In another provision of the treaty, the kingdoms of Naples and Sicily were ceded by Austria to Duke Charles of Parma and Piacenza, the younger son of King Philip V of Spain. Charles, in turn, had to cede Parma to Austria, and to give up his claims to the throne of Tuscany in favor of Francis Stephen. Frederick III was the Count of Bar and Duke of Upper Lorraine from the death of his father, Frederick II, in 1026 or 1027 to his own death. His mother was Matilda of Swabia, daughter of Herman II, Duke of Swabia. The County of Montbéliard, was a feudal county of the Holy Roman Empire seated in the city of Montbéliard in the present-day Franche-Comté region of France. From 1444 onwards it was held by the House of Württemberg. 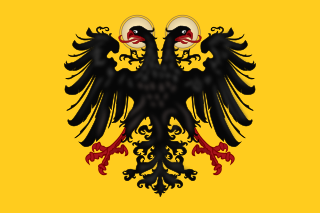 The Imperial Register was a list of the Imperial Estates of the Holy Roman Empire that specified the precise numbers of troops they had to supply to the Imperial Army and/or the financial support they had to make available to sustain the Army. An entry in the register was often viewed as an important indicator of the imperial immediacy of an Imperial Estate, although that was not always undisputed. The importance of the register for historical research is that all Estates were recorded in it. However, it also contains obvious errors. On 30 September 1736, Stanislaus signed a convention, known as the Declaration of Meudon, whereby the French king would appoint the governor of Lorraine. On 8 February 1737, Stanislaus took possession of Bar and on 21 March of Lorraine. On 18 November 1738, the final Treaty of Vienna was signed. Stanislaus turned over the incomes from Bar and Lorraine to the French crown in exchange for a generous pension, which he used to fund construction projects in the duchies. On his death on 23 February 1766 the duchies passed to the royal domain of France as per the treaty. From the death of René II, the list is identical with that of Lorraine . 1 2 3 4 5 6 7 8 9 Evergates 1995, p. 96. 1 2 3 Spangler 2009, p. 56. ↑ Moeglin 2006, pp. 231–32. 1 2 Monter 2007, pp. 15–16. ↑ Arnold 1991, p. 100. 1 2 Arnold 1991, p. 263. ↑ Monter 2007, pp. 23–24. ↑ Rudolf Vierhaus, Germany in the Age of Absolutism (Cambridge University Press), p. 133. ↑ Charles T. Lipp, Noble Strategies in an Early Modern Small State: The Mahuet of Lorraine (University of Rochester Press), pp. 135–36. ↑ Whaley 2012, p. 165 and n. 8. Evergates, Theodore (1995). "Bar-le-Duc". In Kibler, William W.; Zinn, Grover A.; Henneman Jr, John Bell; Earp, Lawrence. Medieval France. London: Taylor & Francis. p. 96. Yolande, was Duchess of Lorraine (1473) and Bar (1480). She was the daughter of Isabella, Duchess of Lorraine, and René of Anjou. Though she was nominally in control of major territories, she ceded her power and titles to her husband and her son.In addition, her younger sister was Margaret of Anjou, Queen of England. Margaret of Joinville was a French noblewoman. From 1365 until her death, she was the ruling Lady of Joinville and Countess of Vaudémont.